It is an important time of the year, and I think it’s important to wear your Poppy with pride. 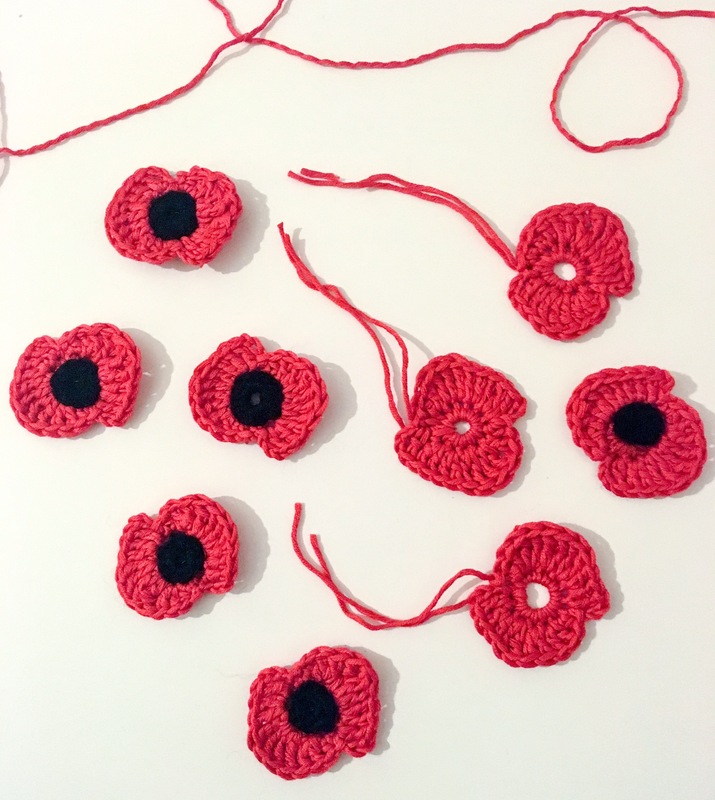 I decided to crochet these little poppies as a show of respect and remembrance. Its a very simple pattern, one in which I hope you enjoy making and feel proud to wear. Red and black yarn. Any yarn you want to use should work! The hook that your chosen yarn requires. Round 2: Ch3, tr into next stitch, 2tr into next stitch, 2dtr into next stitch, 2dtr into next stitch, 2tr into next stitch, htr, ss into next stitch, 3ch, tr into stitch, 2tr into next stitch, 2dtr into next stitch, 2dtr into next stitch, 2tr into next stitch, htr, ss into last stitch, fasten off. Darn all the ends in. Now, to wear the poppy, I simply attached a safety pin to the back. You can use whatever you’d like to attach your poppy. 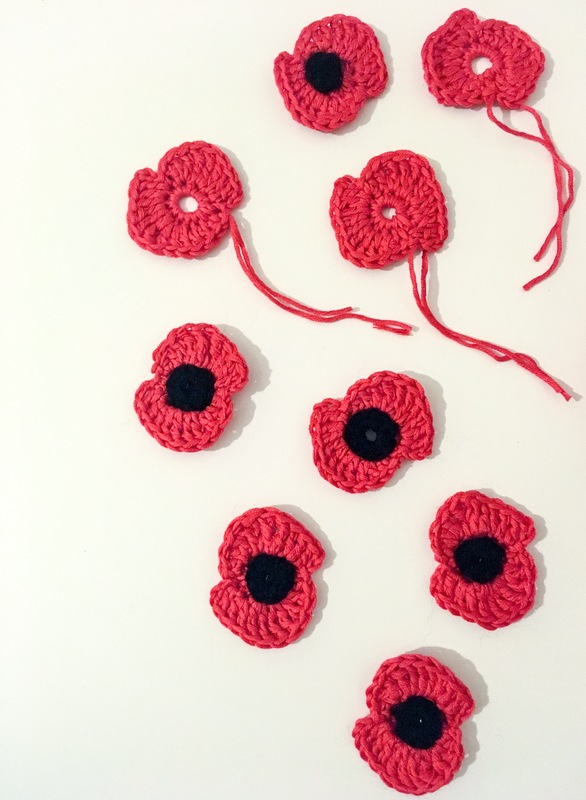 In theory you should now have a lovely little crochet poppy! Remember, make a donation and wear your Poppy with pride!